You cannot send emails from MailPoet by using your personal Yahoo, Gmail, Outlook, AOL, etc. in the FROM address. You can use your personal email address in the REPLY-TO field instead. Why Can't You Use Your Personal Email Address? 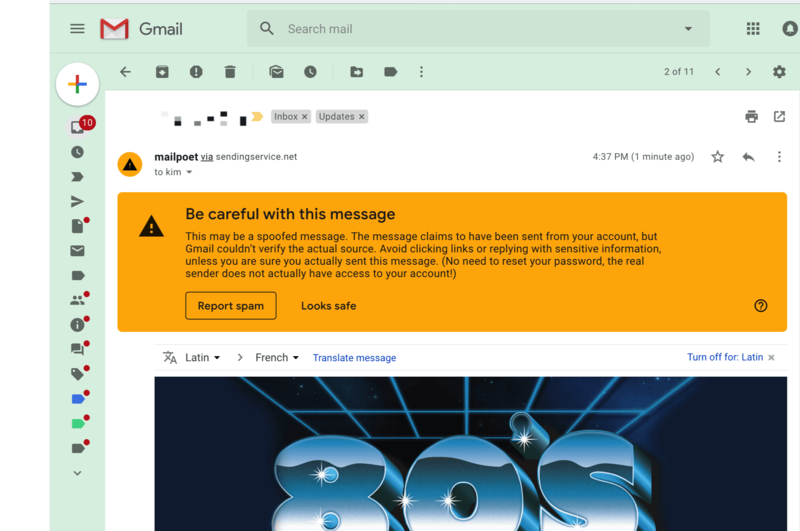 To combat spam and phishing, large email providers (Yahoo, Gmail, Outlook, AOL, etc.) only allow their users to send emails from their inboxes and not a third party, like MailPoet. For example, Yahoo will not accept your emails if you send a newsletter with MailPoet and your FROM email address is a Yahoo or Gmail address. This is a good measure for everyone's security. We will see more email providers adopt the same policy, call "strict DMARC". This applies to all sending methods: your website, a third party (eg, SendGrid) or MailPoet.